Social Science is a subject, which offers a systematic study of man in relation to his society.This subject gives functional knowledge of history, geography, economics, civics etc in an integrated manner and inculcates such abilities, skills, attitudes and values that would help children to become useful citizens of society. Social Science Club is an integral part of the co- curricular activities of social science. This club has a great role in the study of this subject. This club guides the learning activities, which extend beyond classrooms. 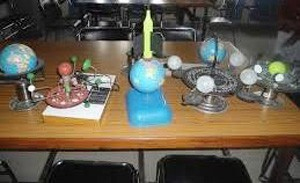 Club members along with their teachers participate in field trips, exhibitions, quiz competitions, surveys etc..